Today Mungo had a very special trekking companion arrive at the farm to see him. For Aisha’s birthday this year her mother treated her to a Catanger Llama adoption pack. She decided to adopt our gorgeous boy Mungo and today met him for the first time. It was so lovely to see as Aisha clearly is llama MAD! A girl after my own heart, she clearly loved everything about llamas and came wearing a fabulous llama t shirt (eat sleep and breathe llamas), covered in badges and a homemade llama hat. 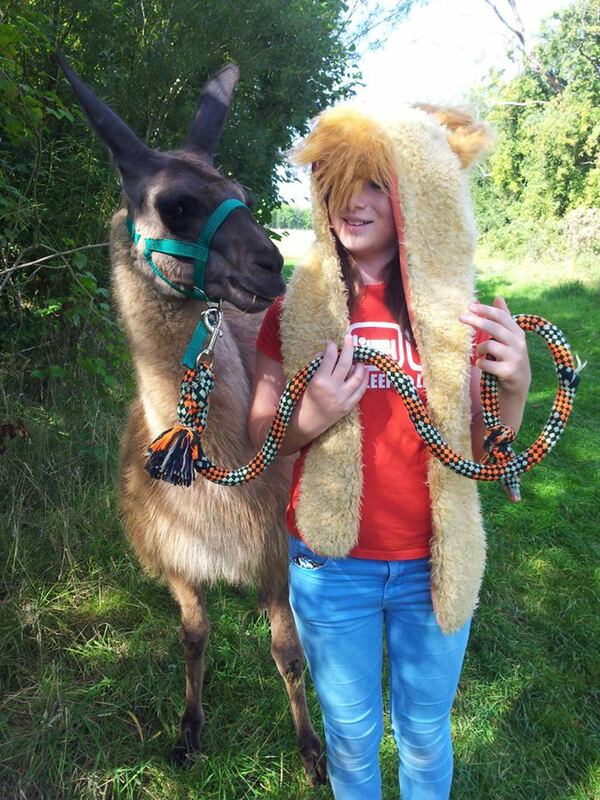 I later found out that she is saving her pocket money to change her name by deed poll to Llama Llama Llama!! Here is Mungo and his adoptive mother Aisha during their morning trek.